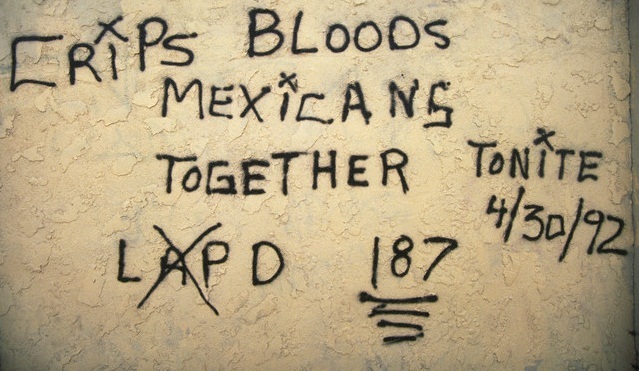 This week marks the 20th anniversary of the Los Angeles Riots. It is an anniversary I will never forget. Although I had been on the department for five years, I was new to patrol. 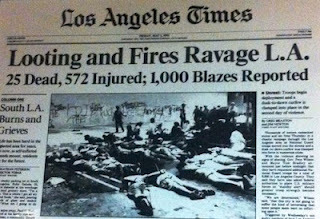 In fact, my first day off of patrol training was the first day of the Los Angeles Riots. I spent four days in a war zone watching man do his utmost to destroy his fellow man. Pundits will continue to propagate various causes of the communal carnage, of 1992. 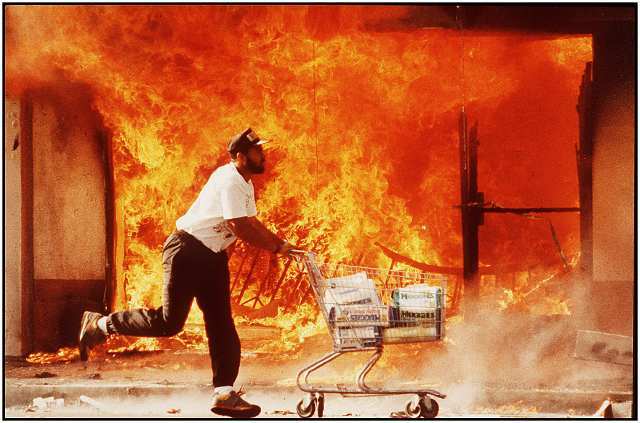 Most will argue the reason for the riots was the alleged mistreatment of a criminal by the name of Rodney King, and the subsequent jury verdict that exonerated the four officers involved in that incident. But the incident involving Rodney King was not the cause of the riots. It was merely an excuse for the riots. The cause of the riots was (and is) the depravity of every man. The unregenerate heart--the heart of the person who has not been redeemed by Jesus Christ through His sacrificial death on the cross (Philippians 2:8) and His glorious resurrection (1 Corinthians 15:3-4)--is evil (Genesis 6:5), deceitful and desperately sick (Jeremiah 17:9). In the end, the riots provided an excuse for criminal opportunists to act according to their nature (Ephesians 2:3)--men, women, and children (yes, little girls as young as 6)--encouraged and incited to loot, pillage, and destroy by the hate-filled, self-serving rhetoric of unscrupulous politicians (Psalm 140:1-3) and faux pastors (2 Timothy 3:12-13) looking for their fifteen minutes of fame in front of the camera. It was four days I will never forget. 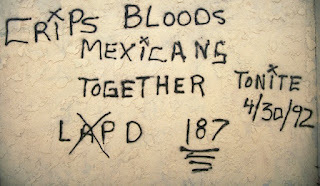 In 2009, I had the opportunity to return to the very streets I had patrolled in riot gear, in 1992. But this time I was on the streets bearing a sword of a different kind.